We specialise in providing high quality, cost effective car body repairs in Cranford - Heston - Osterley TW5, London, Surrey, Kent, Essex, Hertfordshire and Sussex. 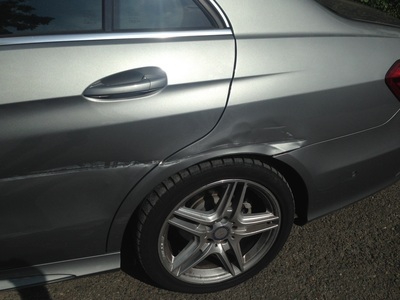 Our service is ideal for the repair of bumper scuffs, car paintwork scratches, car panel dents and alloy wheel damage. We also provide clients with a wide variety of professional car valeting and auto car detailing services to ensure your vehicle paintwork is kept in optimum condition. We specialise in high quality, cost effective SMART repairs in Cranford - Heston - Osterley TW5. We specialise in repairing bumper scuffs, car bodywork scratches, wing mirror damage, cracked bumpers and car panel dents. We are also highly skilled in repairing alloy wheel scuffs and scratches, to enable your wheels to regain a polished, unblemished appearance. We provide scratched bumper respray, wheel refurbishment and car dent removal services in London, Hertfordshire, Surrey, Essex, Kent and Sussex with our experienced vehicle car scratch technicians can complete a range of repair procedures to remove scuffed plastic bumper damage, front and rear bumper scratches, bodywork scrapes, paintwork scuffs, small cracks, “keyed” paintwork, scraped wing mirrors and more without working on the entire vehicle panel or surface area. Our fast efficient service for customers in Cranford - Heston - Osterley TW5 allows us to provide a wide range of car body repairs, at a fraction of the time and price, than a traditional vehicle bodyshop. We ensure our repairs are completed to the highest standard by carrying a full on-board paint system, which allows us to 100% match the manufactures paint colours. We can repair a wide range of car bumper, alloy wheel and car dent damage in Cranford - Heston - Osterley TW5 using a number of differing techniques such as scratch repair, wheel refurb, dent pulling and plastic welding and we are available to provide service to private and commercial customers who require a high quality smart repair solution which can be tailored to individual requirement. Most cars are the pride and joy of their respective owners, so finding a scratch, scuff or dent to vehicle bodywork can be a frustrating and annoying experience and dependent on the damage, this can also affect the vehicles resale value, so locating a car body repair specialist that can provide service in Cranford - Heston - Osterley TW5 is important to the long term maintenance of any damaged vehicle. Please see below for some examples of some completed repairs for customers and we are happy for customers in Cranford - Heston - Osterley TW5 to find out what we can do for them by giving us a call us on 07929 342314 or alternatively send us an online enquiry. Our fast efficient service in Cranford - Heston - Osterley TW5 allows us to attend onsite at your home or place of work to complete a wide range of professional car body repairs, at a fraction of the time and price, than of a traditional vehicle bodyshop. If you are located in Cranford - Heston - Osterley TW5, using our service means that you don’t have to worry about getting to a bodyshop, worrying about how you are going to get back home, how you will get the kids back from school and all the other problems that arise, when making a decision about getting your car repaired. We are able to repair a wide range of cosmetic damage sustained to your vehicle using a technique called SMART (Small / Medium Area Repair Technique), where the aim is to keep the repaired area as small as possible. Our service in Cranford - Heston - Osterley TW5 is available to private customers, trade, fleet, insurance companies and dealerships who require a high quality,smart repair solution onsite in Cranford - Heston - Osterley TW5 which can be tailored to requirement. 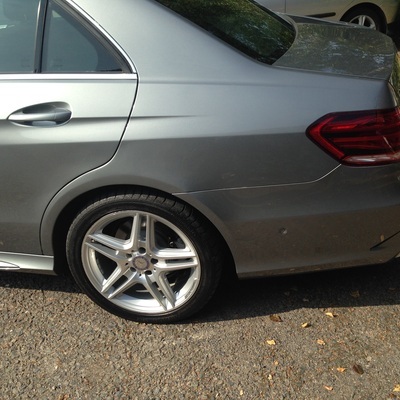 If you are located in Cranford - Heston - Osterley TW5 and your vehicle has sustained impact damage, we can repair your vehicle, using a range of techniques such as scratch repair, wheel refurbish, dent pulling and plastic welding to leave your vehicle looking as good as new. Most people’s cars are their pride and joy, so finding a scratch, scuff or dent to the bodywork can be a frustrating experience and dependent on the damage, this can also affect its resale value, so locating a car body repair specialist with in Cranford - Heston - Osterley TW5, with long-standing experience in repairing and painting your vehicle, is important to the long term maintenance of your car. Please do not hesitate to drop by or contact us for a free quote and inspection of your job. Our friendly staff will be happy to assist you. We can repair insurance claims if you wish to get the job by privately.